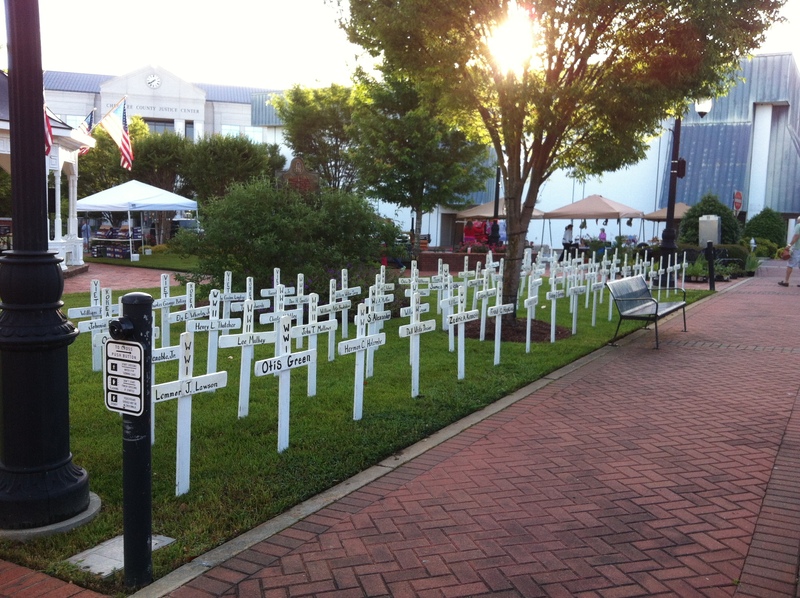 I immediately spotted the crosses remembering two family members, flanking a tree. Mitchell was my Granna, Ellabel West’s first cousin once removed. He was the son of William Preston Kindred Bishop and Donia Victoria Kelly. 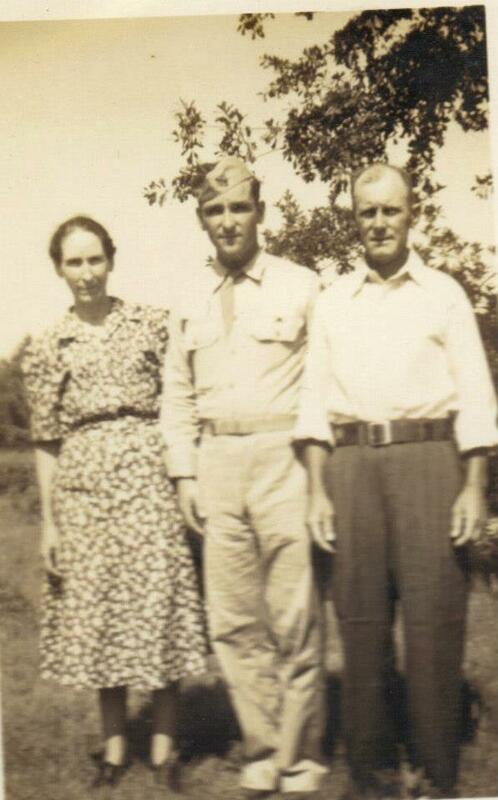 It was hard to get Granna to talk very much about the past, but she once mentioned to me that he was good-looking and fun and that everyone was devastated when he was killed in the war. The only thing I really know about Thaddeus Pickett Hester, Jr. is that he’s my Papa, Edward West’s cousin on his mother’s side, and Papa called “Junior.” He was the son of Thaddeus Pickett (Thad) Hester, who later gained local prominence driving the cotton mill bus from East Cherokee county into the mills every day. Thad Jr. enlisted in April of 1943 and died that November, at just age 19. I promise I’ll soon do better by our war dead and scope out all of the details of their honorable service and what became of them. Happy detecting and have a safe and reflective Memorial Day! I think your photographs are great. No worries about using an iPhone. 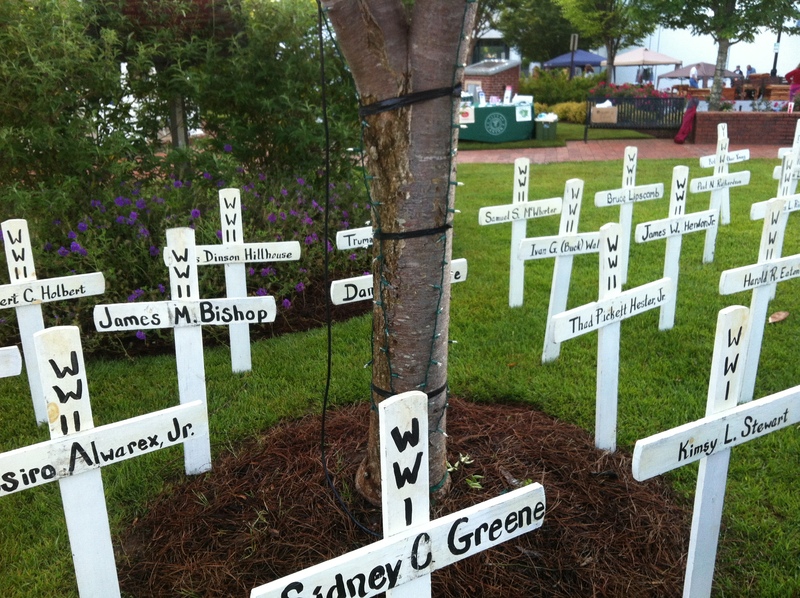 How wonderful that two of your ancestors were honored with crosses in the park, especially because it’s a temporary arrangement. Thanks, Nancy. I was so thrilled to find it. And I loved it that both crosses were right there together!